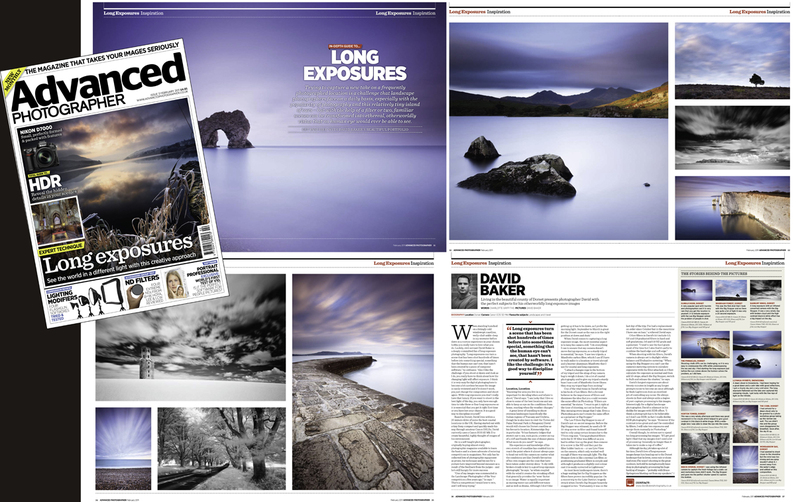 I was recently contacted by the magazine Advanced Photographer and was asked to take part in a feature on long exposure photography. The magazine is out this month and includes nine of my images, 8 of which are of the Dorset area, along with an article about me and how I use the Lee Big Stopper to create my images. ~ by David Baker on 24 January, 2011. Well done, you do create fantastic long exposure shots so it’s no surprise someone spotted the potential for an article. Excellent shots.